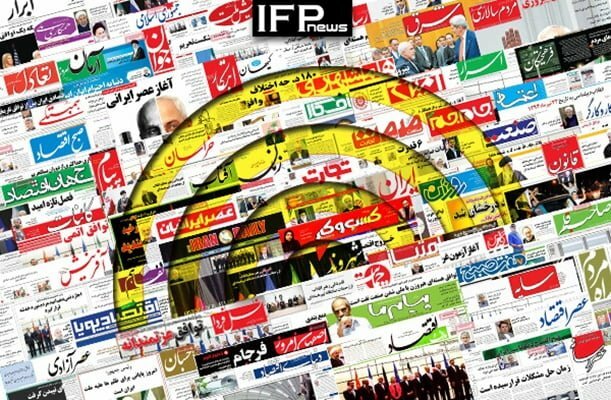 IFP has taken a look at the front pages of Iranian newspapers on Tuesday and picked headlines from 27 them. IFP has simply translated the headlines and does not vouch for their accuracy. Newspapers on Tuesday covered the remarks made by US President-elect Donald Trump in a recent interview about Iran nuclear deal and a range of other topics. The decision by an Egyptian court to prevent the government from giving two islands to Saudi Arabia also received great coverage today. The first anniversary of nuclear deal implementation [January 16] and the discussion of its pros and cons was also a top story in today’s front pages. 2- The Decision that Has Endangered Iran’s Football: Men and Women Playing Together in Football 7-a-side!